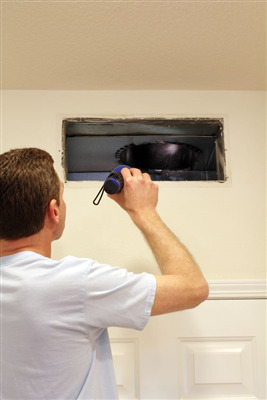 Why Is It Important to Have Your Vents Cleaned During a Home Renovation Project? During a home renovation project, a lot of dirt and dust can get kicked up in your home. The renovation project may consist of removing old fixtures and flooring, sanding items down, or installing new items. All of this brings along its own level of dust. When dust is flying around in your home, it can make its way into your heating or cooling system and then into your vents. Every time your heating or cooling system comes on, it blows the dust out of your vents into your home. This becomes a cycle of dirt and dust accumulating in the vents and then blowing into your home. Cleaning your vents helps to remove the dirt and dust, putting an end to this cycle. How Frequently Should You Have Your Vents Cleaned During a Home Renovation Project? The frequency varies based on the projects that are being completed. Sanding down an old hardwood floor produces a more dust than removing a bathroom fixture and having a new one installed. If you are having multiple projects done, you may want to have your vents cleaned halfway through the project and then again at the end. If you are only working on one or two projects, you may want to wait until the projects are finished before vent cleaning is performed. Are you in the midst of a home renovation project that is causing an excessive amount of dirt and dust to be flying around in your home, or have you recently completed a home renovation project? If so, having your vents cleaned can help to remove leftover debris and decrease dirt and dust. Here at Dust Doctors, we can help with all of your vent cleaning needs in the greater Twin Cities, Minnesota area. Contact us today to request a free quote. « What Factors Should You Consider When Selecting a Duct Cleaning Company?